Ernesto Valverde’s Barcelona are reportedly closing in on an early deal to land rumoured Chelsea target Luka Jovic, according to an exclusive report from Frankfurter Allgemeine. The forward has been in stunning form for Bundesliga side Eintracht Frankfurt this campaign and has caught the eye of several clubs with some clinical displays. The Blues, according to the report, have closely tracked the Serbian striker this term, while German heavyweights Bayern Munich’s hierarchy have also kept a close eye on the star’s progress. 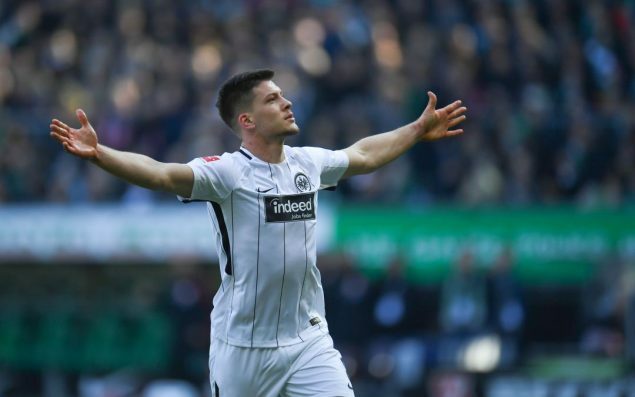 Luka Jovic joined Eintracht Frankfurt on a two-year loan deal from the Portuguese side SL Benfica in the summer transfer market of 2017 but becomes visible to be set for an immediate transfer away when his temporary stint in Germany ends. A German news outlet Frankfurter Allgemeine states that Blaugrana are edging closer to wrapping up the transfer as the club look to provide starting striker Luis Suarez with adequate cover. The 21-year-old star has been an exceptionally good performer in the Bundesliga this term and has netted 14 goals, chipping in with a further 4 assists as well. In spite of being the only 5ft 11in (1.80 cm), Luka can depend on his physical ability to help him in front of goal. As well as pace, the talented Serb has more than been able to hold his own versus Bundesliga’s high-class defenders in terms of strength too. Reports in Germany say the young striker will cost a pretty penny, with a transfer sum more than £70m being touted as Luka’s valuation.